Never forget a great experience. With Phollow, you can share experiences with your friends using photos, text, and even audio. Browse through a friend’s feed to see where they’ve been and what they liked. Use the map to find nearby places. 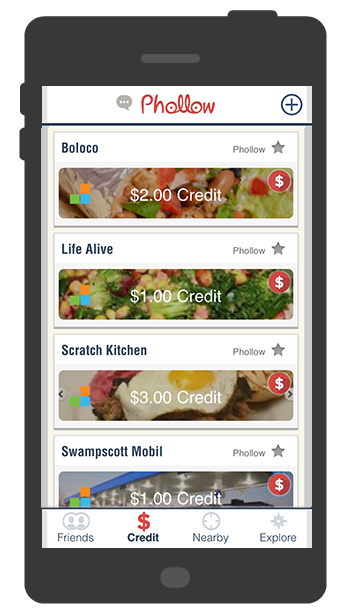 Find places where you can collect LevelUp credit! 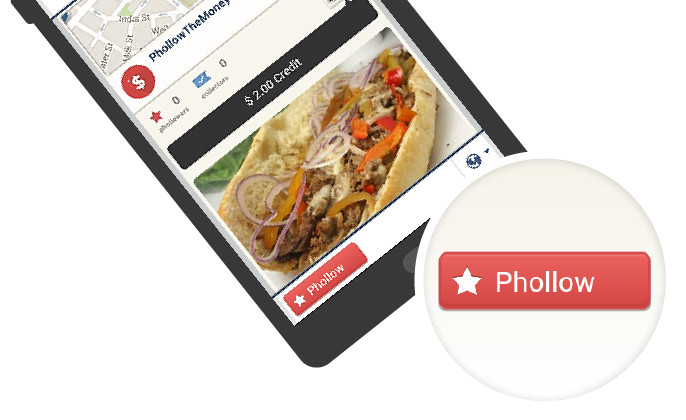 Phollow can now show you where you have credit from LevelUp. Just install LevelUp on your phone, go to the Credit tab and then hit Connect. 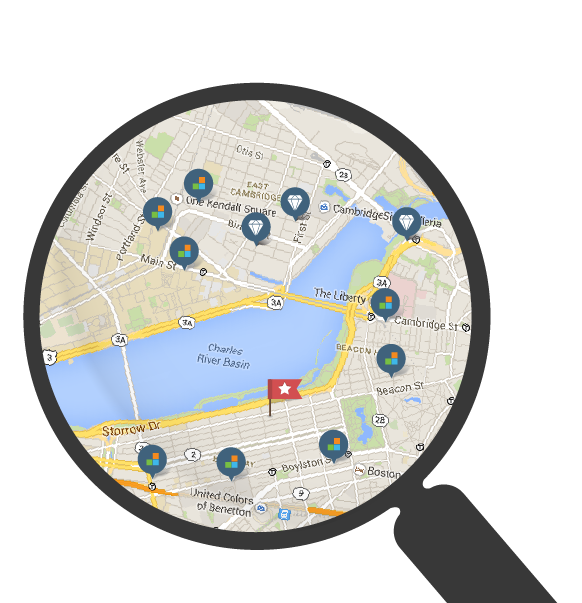 We'll show you all the places where you have credit from LevelUp merchants! 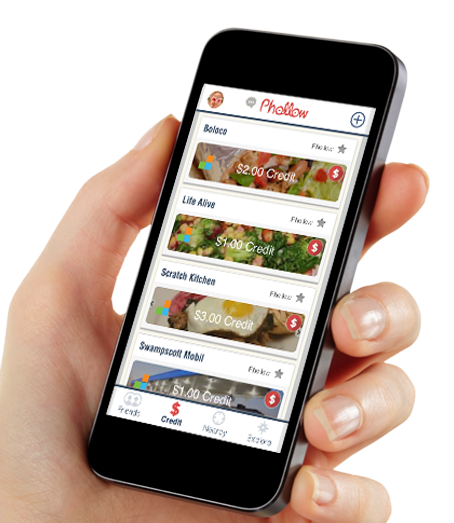 Phollow can help you find a place to get lunch--- and you can pay for it from within the app. 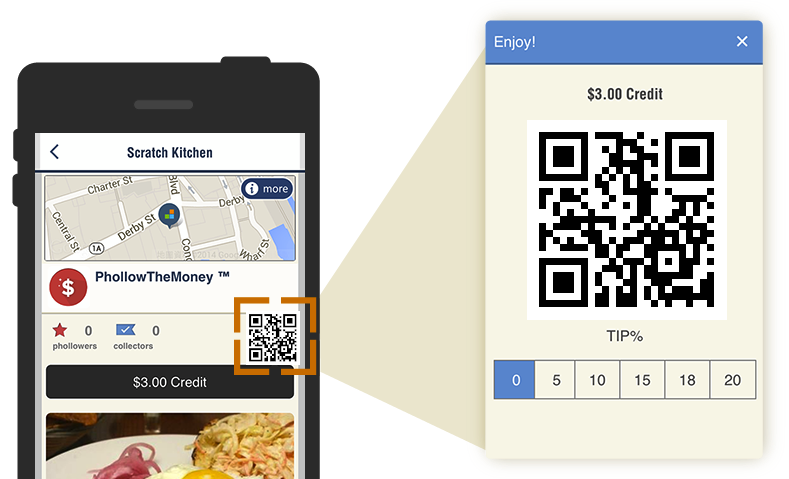 Just click on the QR code icon inside the breadcrumb to pay! Phollow remembers the places you’re interested in---so you don’t have to. 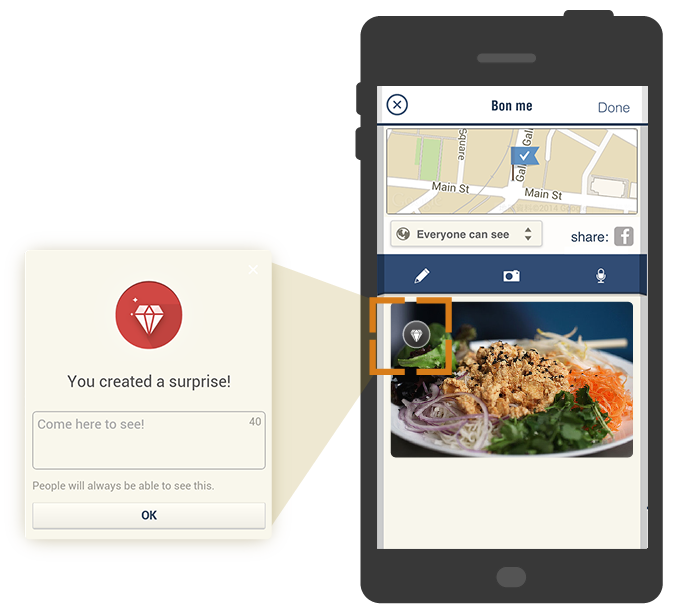 Click Phollow from inside a breadcrumb and you’ll be notified when you’re nearby. When you get the notification, just tap to see what’s inside. Phollow lets you leave photo, text or voice mementos at any location. You can also make any memento a surprise--your friends will have to phollow you to the spot where you created it to see!